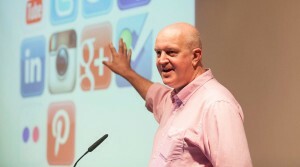 Professor Paul Egglestone @digitaldocs has just commenced at UON. Paul’s work in the UK epitomises his long standing commitment uniting communities, technologists and content creators to foster citizen-led innovation: using digital media technologies to identify and address real world problems. Welcome Paul and we look forward to seeing what he and the team at UON develop, to contribute to the university’s leadership in creative industries, driving the economic, social and cultural transformation of the Hunter region.